If you could describe the perfect document security system, it might go something like this. “I’d like to share this document with X, Y, and Z, but I’d like control over whether they can modify it, I’d like to forbid them to share it with anyone else, and I’d like to be able to destroy their copy at a time I specify”. ITPros have the flexibility in their choice of storage locale for their data and Security Officers have the flexibility of maintaining policies across these various storage classes. 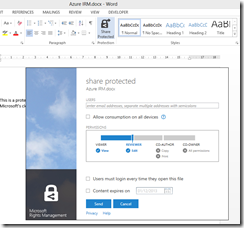 It can be kept on premise, placed in an business cloud data store such as SharePoint, or it can placed pretty much anywhere and remain safe (e.g. thumb drive, personal consumer-grade cloud drives). There is a crucial distinction to be made though. 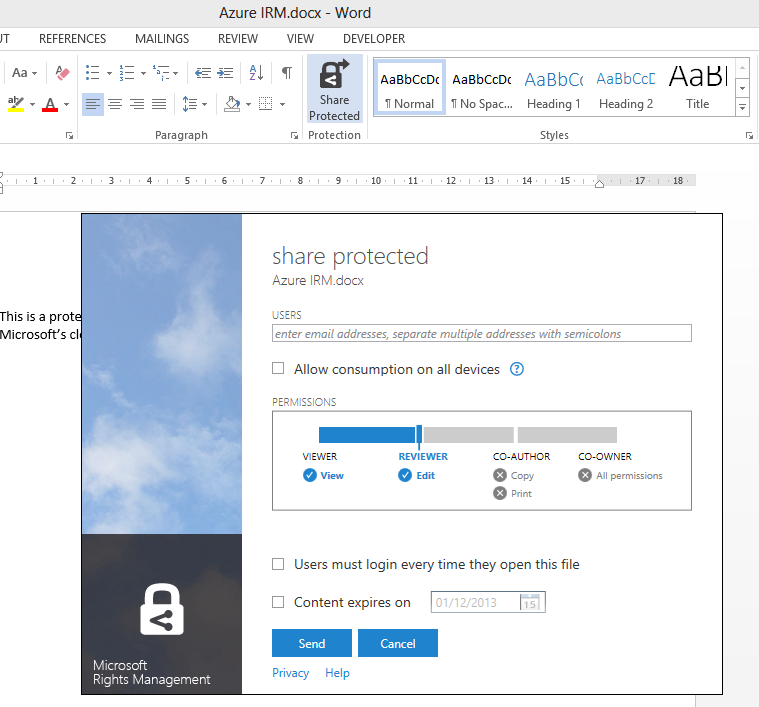 Does Rights Management truly enforce document security, so that it cannot be bypassed without deep hacking; or is it more of an aide-memoire, helping users to do the right thing but not really enforcing it? 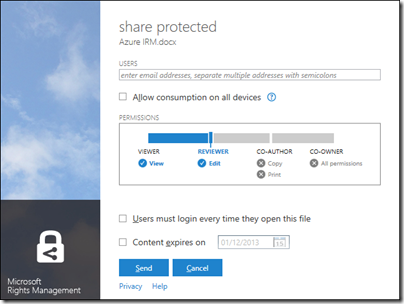 I tried the preview of Azure Rights Management, available here. Currently it seems more the latter, rather than any sort of deep protection, but see what you think. It is in preview, and a number of features are missing, so expect improvements. I signed up and installed the software into my Windows 8 PC. I contacted the team about this, who asked for the log file and then gave me a quick response. 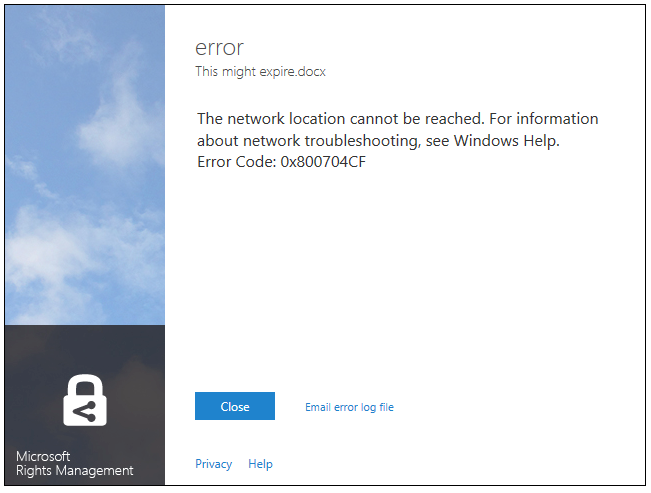 The reason for the error was that Rights Management was looking for a server on my network that I sent to the skip long ago. 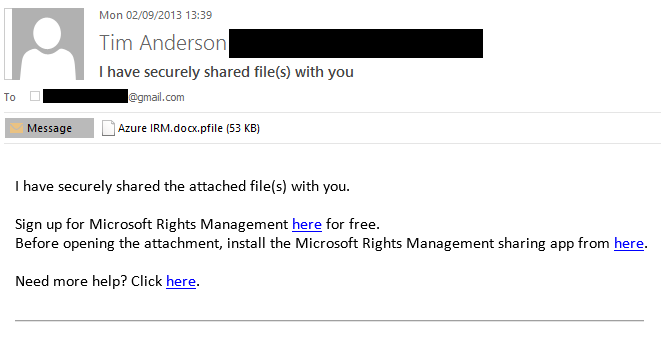 Many years ago I must have tried Microsoft IRM (Information Rights Management) though I barely remember. 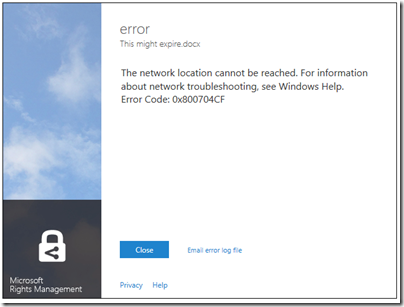 The new software was finding the old information in my Active Directory, and not trying to contact Azure at all. 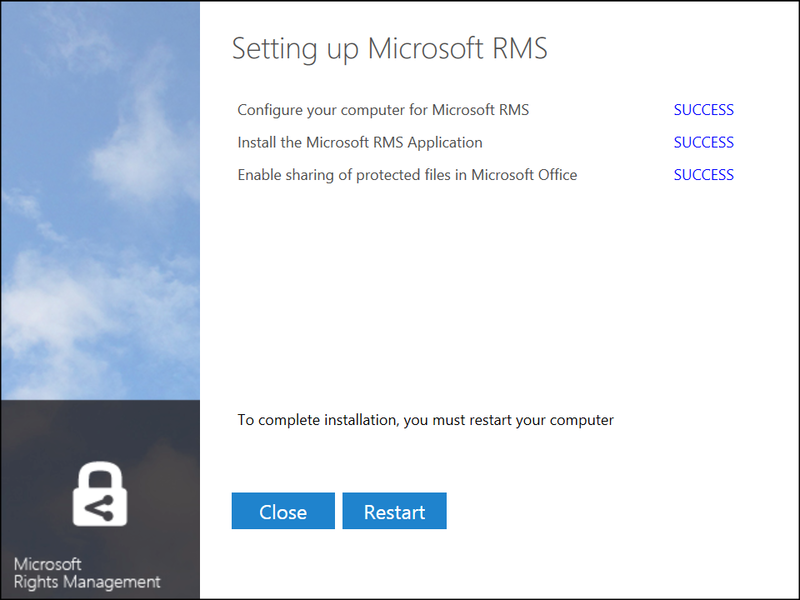 This is unlikely to be a common problem, but illustrates that Microsoft is extending its existing rights management system, not creating a new one. 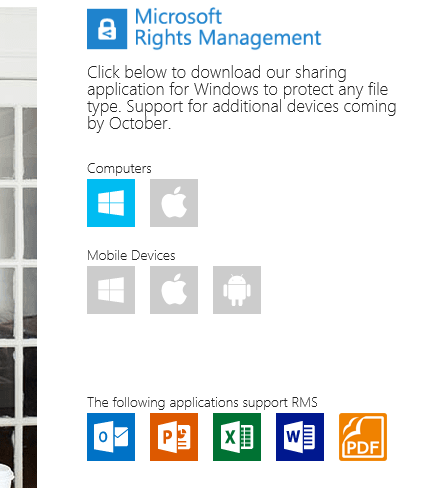 It is not a Word dialog, but rather part of the Rights Management application that you install. 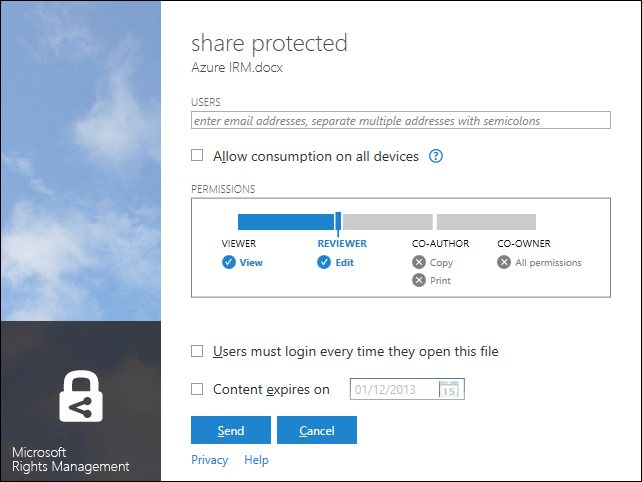 You get the same dialog if you right-click any file in Explorer and choose Share Protected. I entered a Gmail email address and sent the protected document, which was now wrapped in a file with a .pfile (Protected File) extension. Next, I got my Gmail on another machine. There is an SDK for Android, but that is all. In other words, you cannot yet use the service with Gmail addresses. I tried it with a Hotmail address; but Microsoft is being even-handed; that did not work either. 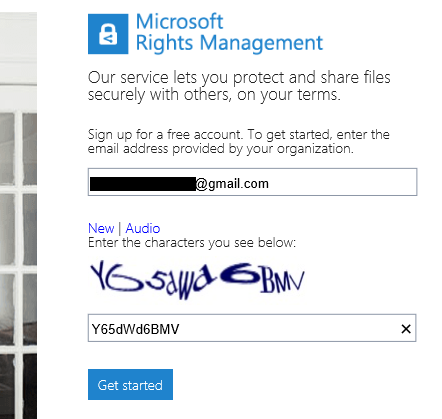 This email address does have an Office 365 account. I am not sure what the message means; whether it means the Office 365 account needs to sign up for rights management at £2 per user per month, or what, but it was clearly not suitable for my test. Incidentally, I think the UI for this dialog is wrong. It is not an error, it is working as designed, so it should not be titled “error”. I see little mistakes like this frequently and they do contribute to user frustration. 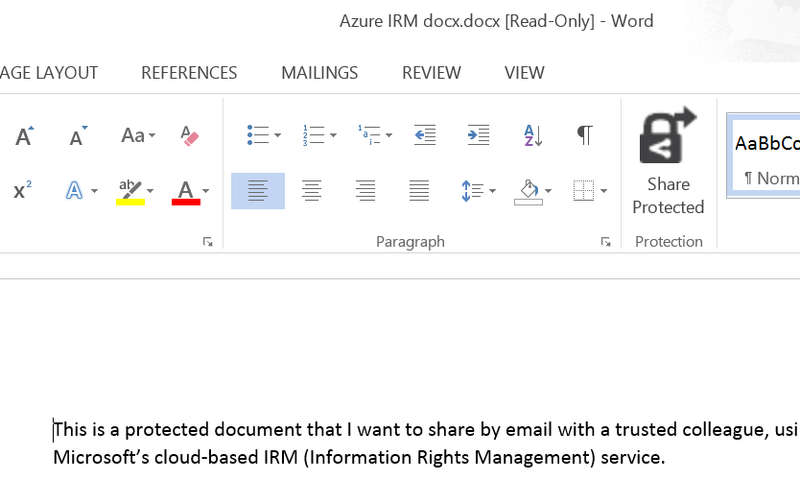 For some reason, the packaging results in a document called “Azure IRM docx.docx” which is odd, but never mind. Inherently though, the client application has to have decrypted access to the file in order to open it. 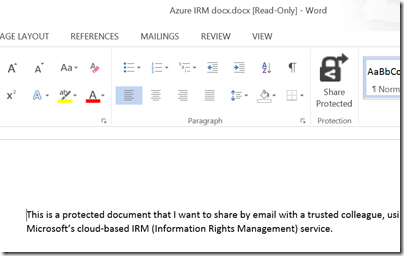 All the rights management service does, really, is to decrypt the file for users logged into the Azure system and identified by their email address. What happens after that is a matter of implementation. The consequences of documents getting into the wrong hands are a hot topic today, after Wikileaks et al. 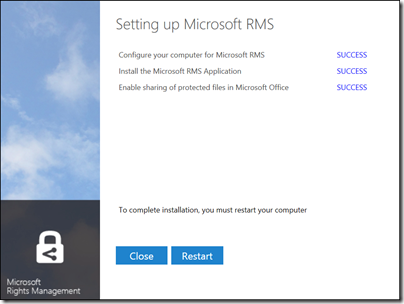 Is Microsoft’s IRM a solution? As currently implemented, this provides limited security. It does encrypt the document, so an intercepted email cannot easily be read, but once opened by the recipient, anything could happen. The usability of the preview is horrid. 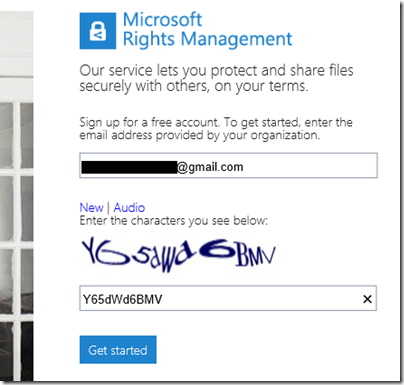 Do you really want your trusted recipient to struggle with a CAPTCHA? Support beyond Windows is essential, and I am surprised that this even went into preview without it. I should add that I am sceptical whether this can ever work. Would it not be easier, and just as effective (or ineffective), simply to have data on a web site with secure log-in? The idea of securely emailing documents to external recipients is great, but it seems to add immense complexity for little added value. I may be missing something here and would welcome comments. had to sign in twice since I didn’t check “Remember password!" If you try recursion, it will package the already packaged file. Microsoft just released the Android and iOS app for their cloud based Right Management Service. Works nicely, and simple to use. But the only issue is that it only support images. No support for PDF, xls, doc, ppt. 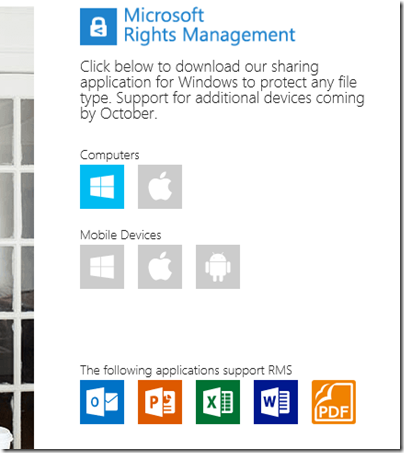 They should at least add support for PDF to make the app valuable for an enterprise……..